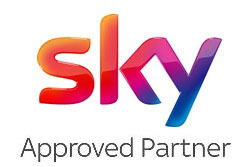 Our Local, Expert, RDI approved aerial fitters know your area and its TV signal problems and fixes. If you are adding another TV or Freeview Box and have broadband in your home Nik recommends a Youview recorder. for Catch-Up TV, as well as an on demand library of box set series & pay movies. 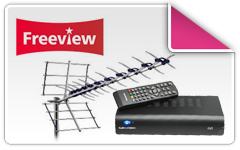 Visit our Youview setup to Internet & Aerial service page for more details and benefits. 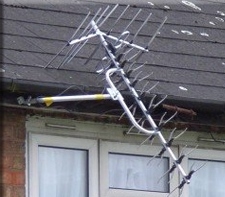 When you do not have access to the internet or do not need Catch-UP TV in a room then Freeview receivers and recorders still provide the least expensive way to access digital broadcast TV including the HD and 3D-TV Channels..
Freeview receivers are built in to many new TVs so these can be connected directly to your digital aerial. Our fitters can ensure your TVs are tuned in when visiting for any of our services. 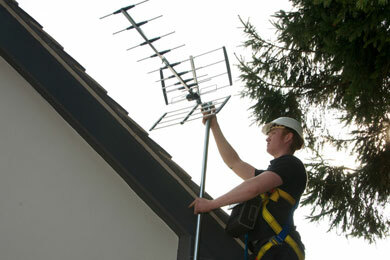 They always check your whole setup; TV settings, 3D & HD, decoder box, cables to the aerial or dish. 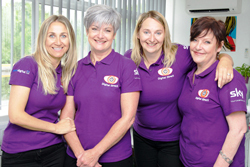 Our fitters always check your TVs are tuned in correctly on any visit and will come out to set up your latest HD large-screen TV or 3D television. See our TV Wall-Mounting page for the latest in bracket choice including remote control tilt and swing fittings. Lost TV channels? Poor picture quality? Pixelated or freezing TV channels? One of our engineers can call out and and perform a full diagnosis of your digital television system. If your aerial can be repaired our vans are fitted out to fix to get your TV reception with the minimum of hassle – usually the same day! Click on the heading above to find out the latest information about the potential interference from the new 4G mobile phone masts and how to get the at800 filters if you need one. Tom attended at my mother’s house and was brilliant. He was courteous, related brilliantly with my 99 year old mother and sorted the problems efficiently, quickly and considerately. He kept me informed of the cost throughout and never seemed rushed. He was happy to spend whatever time was needed to resolve the problems and ensure it was done well and cost effectively. A credit to to the company and to himself. 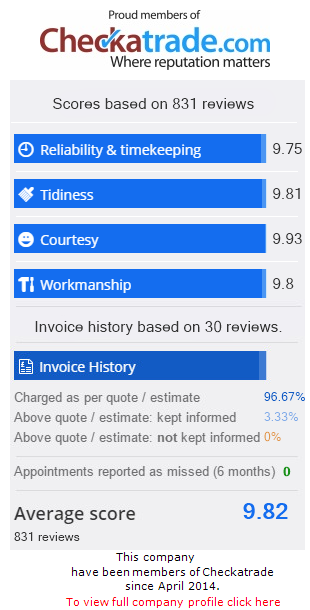 Many thanks for a thoroughly professional job. Simon Bowdler, Wolverhampton.